Today, Adelaide Law School Lecturer Dr Nengye Liu gave a lecture on Chinese law of the sea. The first half of the lecture focused on the history of Chinese international relations and international law. 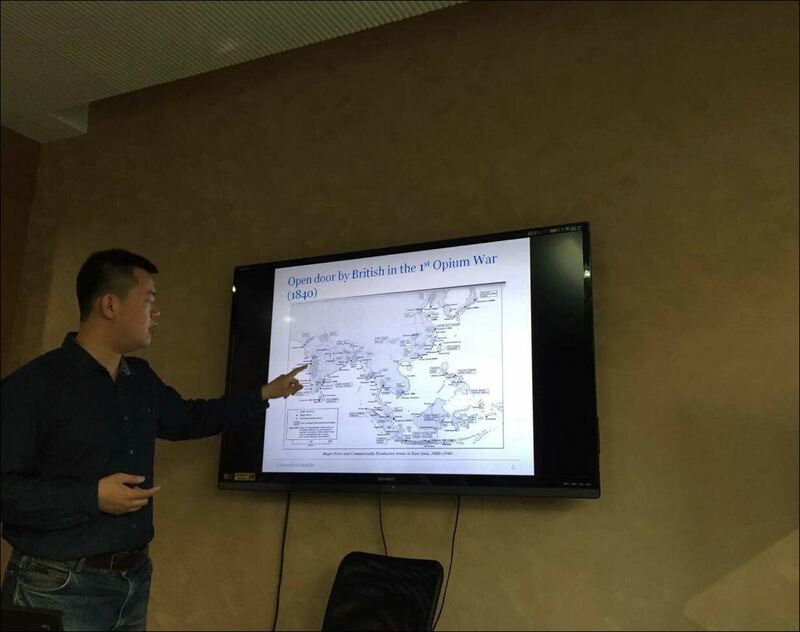 He gave us an overview of the Chinese influence in neighbouring countries and the presence of colonialism, specifically in Shanghai. The first part of the lecture also covered the initiative to revive the Silk Road, otherwise known as the ‘Belt and Road’ initiative, which will enable China to strengthen its trade relationships with many countries, including the developing nations between China and Western Europe, that could benefit greatly from this. The second half of the lecture focused on China’s identification of polar regions as a major strategic frontier, essential to the future of human beings. 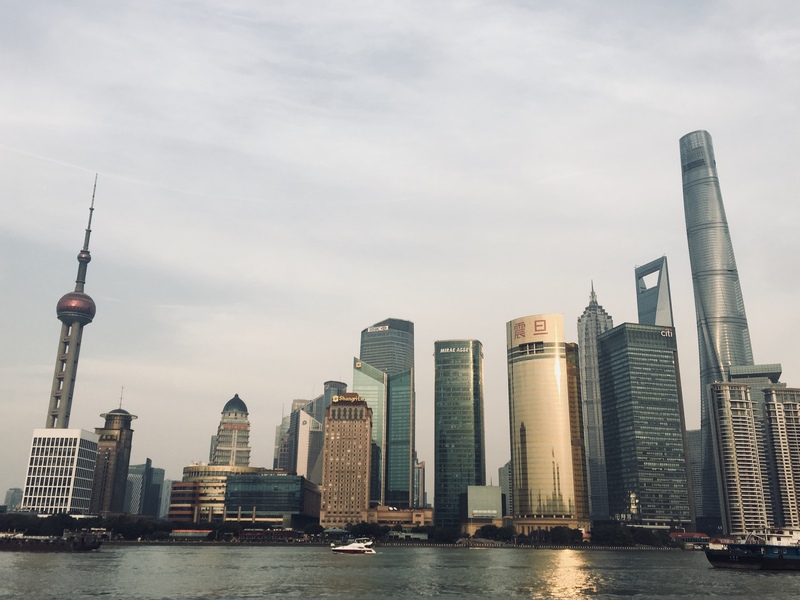 Whilst scientific research is the primary currency with which global policy is shaped, it is equally important that the law evolves to keep up with the physical changes in the environment caused by climate change. The north pole has seen enormous reductions in ice coverage over the past 15 years resulting in a significant rise in sea levels. However, the effects are not only environmental. Rising temperatures and larger ocean channels have opened new maritime pathways for commercial shipping activities and new locations for the exploitation of oil. Given the fragile ecosystem of the area, these ventures require special regulation. China has thus proposed egalitarian solutions for the mutual benefit of mankind through policies based upon respect, recognition, sustainability and cooperation. 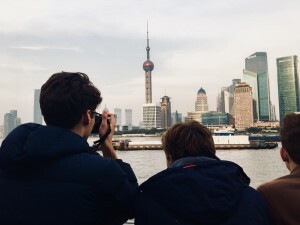 After the lecture, the ever prompt Dr Liu took us on a walk along the colonial part of Shanghai where we saw the European buildings, which complemented today’s lecture. 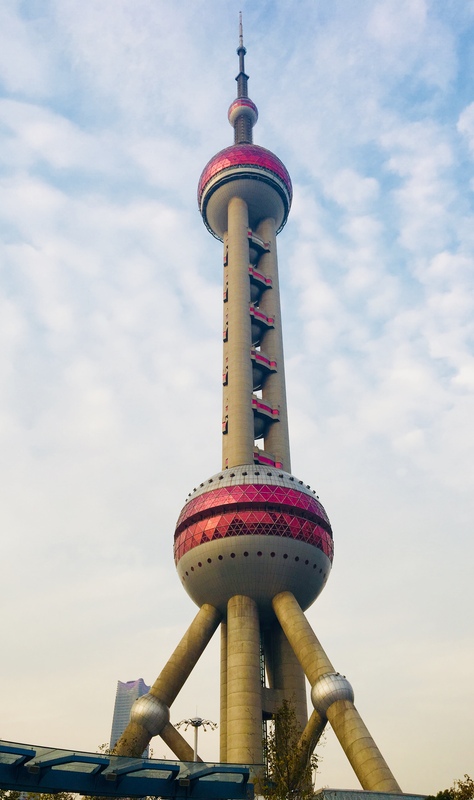 We then took a ferry across the Huangpu River to Pudong, the Financial District of Shanghai, and walked to the iconic Oriental Pearl Tower where the photo opportunities did not disappoint. This entry was posted in Events, News and tagged China Study Tour 2017, China Study Tour Day 5, Dr Nengye Liu, Law of the Sea. Bookmark the permalink.